It might not be entirely related to the articles I usually write, but I was so blown away by this image in my inbox that I just had to share it! That picture above is the first look at Daniel Day Lewis in the title role of Lincoln, a Steven Spielberg movie being released in November! LINCOLN focuses on the last four months of the president's life and the political strategizing he undertook at the close of the Civil War to ensure that slavery would be forever outlawed. “Our movie is really about a working leader who must make tough decisions and get things done in the face of overwhelming opposition,” Spielberg says. LINCOLN is a DreamWorks, Twentieth Century Fox, Participant Media production opening in limited release November 9, expanding November 16, 2012. 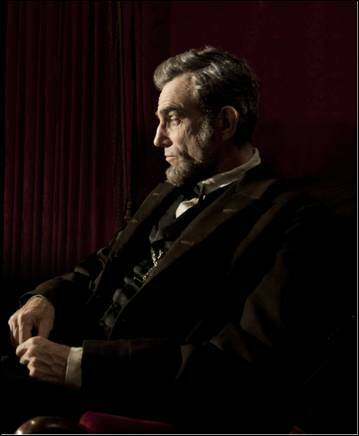 Don't miss any news about this movie: Like LINCOLN on Facebook!